Macbeth Security is an independent advisor for a wide range of competitive intelligence and global/international security services. We help individual and companies to manage their complex and hostile environment by finding the right partner. Macbeth works with a vast network of providers and can select the most appropriated partner for your needs. We help our clients to retrieve and analyze hard-to-find business information.  Macbeth is working with high profile clients in order to keep them safe throughout their life and lifestyle whether this is for a bespoke travel or for their enterprise. We will provide security services and advisory so that their assets, loved ones, business and staff are safe. We strive to offer our clients the highest quality, bespoke solutions in order to satisfy their requirements.